Sometimes it’s not only about reaching your destination. It’s also about having some fun along the way. By stepping in the Toyota Camry you’re accessing a lively, refined environment where the driver can relax and have full awareness of the road ahead. Everything the driver and passengers see, touch, and operate is specifically designed to heighten everyone’s overall driving experience. If you’re the one in the cockpit, you’ll find excitement behind every drive. The Camry’s advanced sense of handling delivers a motivating response; allowing the you to enjoy both bendy roads and tricky urban conditions. To top it all off, the Camry is packed with innovative safety features that offer plenty of protection and available driver-assisting features for preventative measures. The 2019 Toyota Camry comes in five distinct trim levels: L, LE, SE, XSE, and XLE. Each trim offers a 2.5-liter four-cylinder engine that delivers 203 hp and 184 lb-ft of torque. The base L comes with a Wi-Fi hotspot, navigation, 16-inch steel wheels, a 7-inch touchscreen, *Bluetooth®, cloth upholstery, automatic LED headlights, keyless entry, a height-adjustable driver’s seat, Amazon Alexa connectivity, a rearview camera, a six-speaker sound system, and a USB port. Next up is the LE trim which adds simulated-leather upholstery, revised steering calibration, paddle shifters, and a sport-tuned suspension. The XLE and XSE come with numerous features such as dual-zone automatic climate control, extra USB ports, wireless smartphone charging, a head-up display, dual-zone automatic climate control, leather upholstery, an 8-inch touchscreen, a power-adjustable front passenger seat, blind-spot monitoring, keyless ignition, and more. As you can see, the 2019 Camry provides plenty for both you and your passengers! Formerly designed to be a compact size vehicle, the Toyota Camry has undergone countless adjustments throughout its 24 years of existence. Having a respected past for dependability more so than looks, in 2007 Toyota debuted a completely redesigned model that was bolder than ever before. A perfect mix between chic and daring, the new and improved Toyota Camry had then become available in a 3.5 liter V6 for those looking for a bit more power under the hood. Another milestone of the Camry’s history is that it is now offered as a hybrid, making driving experiences better for the driver and greener for the environment. Due to all of these ground-breaking modifications, the Camry has become an award-winning mid-size sedan and is highly regarded in its class. We let our mission to treat others the way we’d like to be treated guide our every interaction, and with our competitive pricing, experienced staff and impressive inventory of new and used Toyota vehicles, we bet we have what you’re looking for. We strive to find the perfect car that suits each of our client’s needs, like the new Toyota Camry, which is practical, stylish and dependable. 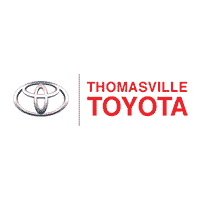 To treat yourself to the type of automotive experience you know you deserve, visit our Toyota dealership near Valdosta, Pelham, and Moultrie, GA. We’re just a short drive from Tallahassee, FL too!